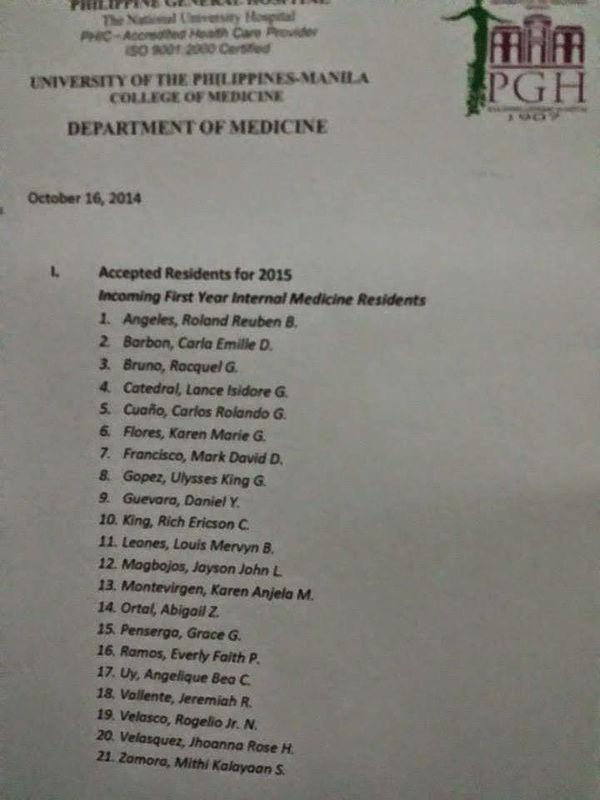 THE SECOND paid job of my life will be at the Department of Medicine of the Philippine General Hospital. By God's all-sufficient grace, I made it through two weeks of competitive (yet surprisingly enjoyable) pre-residency, then a month or so of patient waiting and praying for the Chief Resident's call that should come on the third or fourth week of October, if I qualified for the top 21 slots. Dr. Alric Mondragon himself phoned me this afternoon to break the news that will keep my heart tachycardic for the next week or so. I was watching the Spielberg-produced HBO mini-series The Pacific on my laptop when I was interrupted, gladly, by Sir Alric's announcement: that I made it. I couldn't believe my ears. I'm going to be specializing in Internal Medicine. All glory belongs to the Lord Almighty. Thank you, dear friends, for your support and prayer. This is a new chapter of my life--and my blog, as my smart classmate Laureen Lukban reminded me. 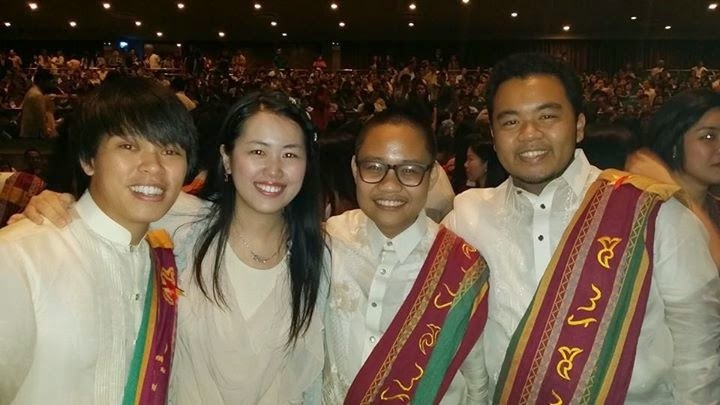 Of course I can't end this post without thanking my Service Three seniors--Doctors Eliza Dejoras, Anne Quero, Abby Ceralde, and Pam Lagumbay--for their patience and kindess. Special thanks goes to the interns and clerks I worked with, all of them competent, brave, and responsible. Many thanks, too, to Carlos, Mati, and Aeron for being such wonderful team players during pre-residency. Of course I won't ever forget the entire Batch One, comprised of easy-going, gracious, and helpful would-be internists who made my two-week stint so much easier. It was a pleasure working and eating and laughing and drinking coffee with you. I'm a changed man, Frances. Sabi ko na mapaproud ka sa pagkape-kape ko, eh. Thanks so much for your prayer, support, and encouragement. Will catch up with you in church, when I get back. Time flies really fast, Kristina; for all you know, med school will be over, and it will be your name we will look for in the PRC list. Anyway, thanks for reading and sticking it out with me, after all these years, and hopefully more.